NEA chief: Too many theaters? Theater people are wagging their tongues about Rocco Landesman’s comment last week that seemed to suggest that America has too many theaters. Landesman, a former Broadway producer, is chairman of the National Endowment for the Arts. To set the record straight, here’s a New York Times blog post that tells exactly what he said and quotes a few responses. What do you all think? To solve the funding problem, do we need to kill off theaters? It’s time to apply for United Arts’ individual artist grants, which are available for artists in literature, media, performing arts and visual arts, as well as for arts administrators. The deadline for applications is Nov. 4. These awards tend to go to non-performers. But theater folks, dancers and so on are allowed to use the money to attend workshops and seminars, among other things. Think about how a grant could help you in your career. 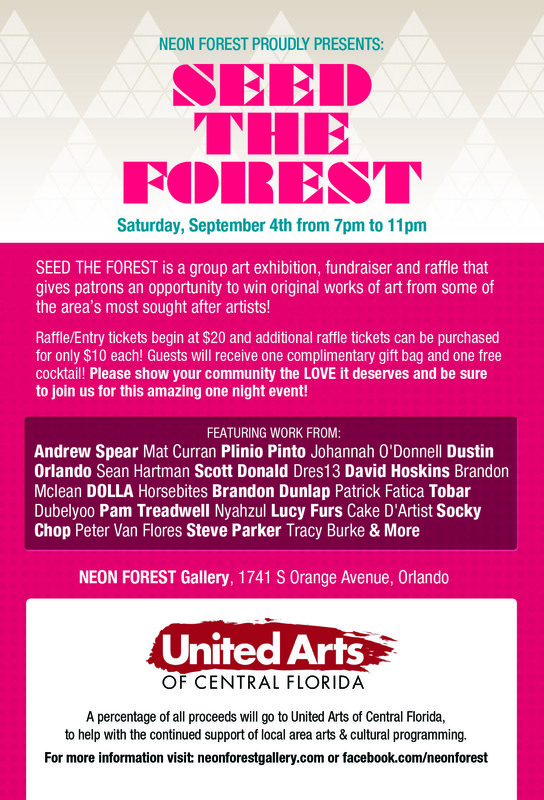 Here’s a way to help out United Arts: Check out the art show called Seed the Forest, scheduled for Saturday night at Neon Forest Gallery on South Orange Avenue, between Miller and Kaley streets. Raffle tickets will enter you in a drawing to win free artwork from the local artists in the show — and a portion of the proceeds go to United Arts.